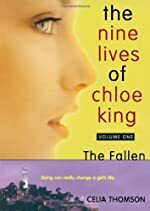 Last September we reported that ABC Family had ordered a pilot for a drama adapted from The Fallen, the first book in "The Nine Lives of Chloe King" series of paranormal suspense novels by Celia Thomson. Today Inside TV reports that the cable network has ordered nine episodes for the first season of the series, also titled The Nine Lives of Chloe King. In the book, Chloe thinks she is just a normal 16-year-old girl until she falls from Coit Tower in San Francisco and dies. But then she wakes up to find things have changed in her new life. She has the ability to see in the dark. And she has claws. And someone is trying to kill her. Luckily she has eight lives to go. You can read the first chapter(s) of The Fallen below. Use the Aa button to adjust text size, line spacing, and word density. Set the Night on Fire by Libby Fischer Hellmann. Non-series. Allium Press Hardcover, December 2010. The unknown elements from the past, from the people Lila Hilliard meets to the items she finds among her late father's effects, and how they relate to the present events -- including attempts to kill her -- add to the overall intrigue of the story. But a lengthy, and largely unnecessary, backstory introduced midway through disrupts the flow of the story. 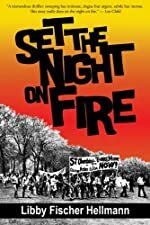 Read the full text of our review at Mysterious Reviews: Set the Night on Fire by Libby Fischer Hellmann. Read the first chapter(s) of Set the Night on Fire below. Use the Aa settings button to adjust text size, line spacing, and word density. Caroline Quentin stars as DCI Janine Lewis in Blue Murder, a British crime drama that aired for four seasons on an irregular schedule on ITV from 2003 through 2008. 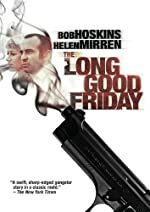 On the job, Lewis deals with the ugly side of human nature, investigating Manchester’s most gruesome crimes. At home, she's a harried but devoted single mother of four, struggling to balance her challenging career with the stresses and rewards of family life. Caroline Quentin perfectly captures Lewis's strength and vulnerability as she balances work and family, aided by her handsome, dedicated partner (Ian Kelsey). The Blue Murder: The Complete Collection DVD set of 9 discs contain all 19 episodes of this series that follows the gritty realities of Lewis’s career from her initial promotion through personal and professional ups and downs — always presented with a touch of wry humor and keen observations about modern motherhood. When Garda Sergeant Jack Driscoll (Owen McDonnell) returns home to the windswept west coast of Ireland, his father — and predecessor at his new post — warns: "Out here, it’s a team of one." 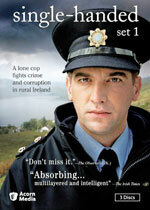 As chief law-enforcement officer in this insular community, Jack soon learns the hard truth in those words in Single-Handed, a series that premiered on RTE in Ireland and ITV in the UK in 2007. Small-town life presents challenges he never faced in Dublin — among them, winning the respect of the villagers and escaping the shadow of his father (Ian McElhinney), whose methods relied more on pragmatism than principle. The Single-Handed: Set One DVD set of 3 discs contain the three multi-part episodes "Natural Justice", "The Stolen Child", and "The Drowning Man". PI DD McGil is hunting for this author in the 2nd mystery in this series by Diane Gilbert Madsen (9 letters). All the principal actors have an easy rapport with each other, and seem to be enjoying the roles they're playing. But the story takes an awfully long time to get going, despite plenty of action scenes in the first hour of the film. It really isn't until about sixty minute mark that the plot starts to gel and get interesting. 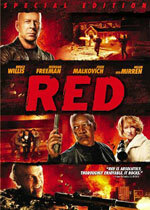 Read the full text of our review at Mr. E. Reviews RED. 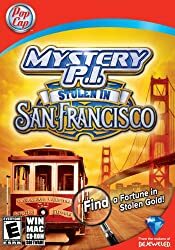 Explore the city by the bay in Mystery P.I. : Stolen in San Francisco, a stunning new episode of the popular Mystery P.I. series! You're the world famous Mystery P.I. and you've been hired to find and return a fortune in stolen gold. You'll have to track down clues before the trail goes cold and it’s lost forever. Seek and find over 2,100 hidden objects in 25 amazing settings -- from Fisherman's Wharf and Alcatraz, to Haight-Ashbury and the Golden Gate Bridge. Collect special hidden objects in each scene for a perfect investigation and unlock two bonus game modes. You have just 17 hours to solve the case -- if you find the gold in time, you'll collect a $20 million reward! Are you up to the job? Good news for fans of The Closer! As previously hinted at, Inside TV is reporting that TNT has now officially extended the final season of its popular series by an additional six episodes, which are intended to introduce both new characters and a new storyline for a spin-off. The spin-off is tentatively titled Major Crimes, and will focus on the behind-the-scenes deal-making that happens when convicted criminals aren't sent to death row. Welcome to a world of danger and suspense in this thrilling hidden object adventure game! You're invited to a gorgeous, isolated Greek island for your high school reunion. Upon arrival, you notice that something isn't right. One by one, your former classmates get killed—all the murders mirroring tragic Greek myths. Discover clues, locate missing objects, and solve dangerously perplexing puzzles to avoid being next on the mysterious killer's list! 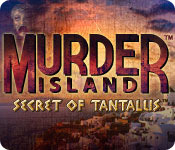 Murder Island: Secret of Tantalus may be downloaded and purchased for $6.99 with a Big Fish Game Club membership. A demonstration version (111.15 MB) may be downloaded and played for free for one hour. India Black by Carol K. Carr. An India Black Mystery. 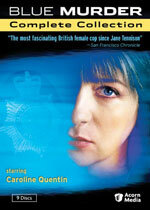 Berkley Prime Crime Trade Paperback, January 2011. Set in 1876, this adventure of espionage features a delightful cast of characters, headlined by Madam India Black, who keeps the reader entertained at all times. Deftly blending historical facts with a fictional story, this most enjoyable mystery is not to be missed. 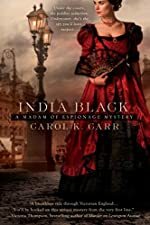 Read the full text of our review at Mysterious Reviews: India Black by Carol K. Carr. In any series set, it's highly unlikely that every episode will be to one's liking. 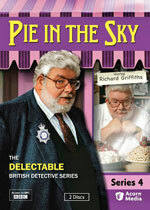 But I found five of the six episodes of Pie in the Sky Series 4 (1996), starring Richard Griffiths as Detective Inspector Henry Crabbe, who is also chef of his wife's titular restaurant, to be quite good, one of these rather exceptional, and only one episode sub-par, a fine score overall. Read the full text of our review at Mr. E. Reviews Pie in the Sky Series 4. 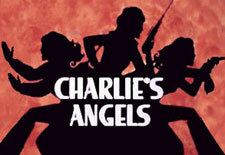 Last week we got word that the first "angel" had been cast in ABC's reboot of Charlie's Angels. Now we're learning (via Inside TV) that Annie Ilonzeh's two partners will be Minka Kelly (Friday Night Lights) and Rachel Taylor (Transformers). The characters' names seem to be in flux here, previously reported as Kate (Ilonzeh), Marisa (Kelly) and Abby (Taylor), but now Kate, Kelly and Abby (we think). Kate is listed as a smart, athletic ex-cop and a master of martial arts. Marisa/Kelly is a former US Marine and an expert in hand-to-hand combat, while Abby is a con artist, the privileged daughter of a disgraced Wall Street tycoon. Robert Wagner will provide the voice of Charlie. The series will be set in Miami, with production expected to begin late this spring. An enthralling series! 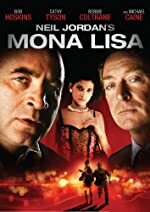 If you're willing to allow for the occasional scene that stretches credulity, or in several lapses in continuity, you'll be rewarded with a season of 22 suspenseful, incredibly exciting episodes that are remarkable in how they capture the carefully devised plan of a brilliant strategist planning to break his wrongly convicted brother out of prison. 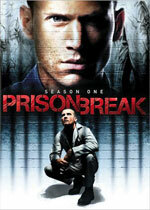 Read the full text of our review at Mr. E. Reviews Prison Break Season One. The BBC is reporting that Diana Norman, who wrote a series of historical mysteries under the pen name Ariana Franklin, has died. She was 77. 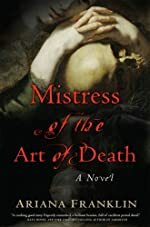 Her first mystery, Mistress of the Art of Death, introduced Adelia Aguilar, a medieval coroner in 12th century England. It was recognized with the Crime Writers' Association Ellis Peters Historical Award in 2007. She was also honored last year with the CWA Dagger in the Library, an annual award given to "the author of crime fiction whose work is currently giving the greatest enjoyment to library users." She went on to write three additional books in the series. She also wrote other books under her own name. Here's a literary-inspired crime drama with a twist: Inside TV is reporting that NBC has ordered a pilot in which the characters are adapted from those that appear in Grimm's Fairy Tales. The title, appropriately enough, is simply Grimm. Jim Kouf (Ghost Whisperer) and David Greenwalt In Plain Sight, Moonlight, Kidnapped) developed the project.